Our mission to exceed your expectations by providing you with impeccable customer service, expertise and the finest quality products. Our approach to beauty is subtle yet strong. Our spa is your oasis from the outside world. It is a place where silence and tranquility reign and your health, beauty, and comfort are our only concerns. Our lighting is muted and soft music adds to our soothing atmosphere was designed to feel blanketed you from the world at large. WW spa is a respite far removed from your worries and concerns. All you have to concentrate on is pacing your breathing to the rhythmic music and enjoying the work of our nimble fingers and special skin formulas that target your problem areas as they enhance the natural beauty already visible. We take great pride in offering world-class service in an inviting and comfortable atmosphere. In our treatments we use only the finest products and latest techniques to offer our guests the best results. Peruse our Services Menu of therapeutic massage, skin care, body treatments, hair removal, spa packages and much more. Based on analysis of your skin, this facial is uniquely customized to fit all of your needs. 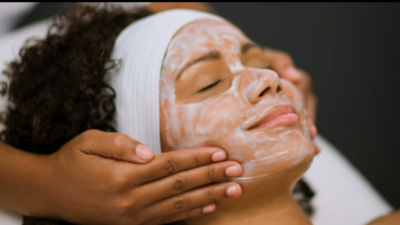 The Classic facial includes cleansing, exfoliation, massage and extractions at the discretion of esthetician. Perfect for those with limited time! The mini version of our Classic Facial includes power cleanse, pressure point massage and customized mask, delivering maximum results in minimum time. Specifically targeting men's skin type Customized for a gentleman's specific skin needs, a deep cleansing is followed by an exfoliating scrub and extraction. The treatment concludes with a cool, soothing algae mask. Addressing the special needs of the acne, oly skin, treating and caring for breakout, oiliness, as well as sensitivity. Couples treatments are one of the hottest services right now. Two people are getting spa treatments in the same room, at the same time by two different therapists. Retreat together into a world of relaxation. This package is an excellent gift for the two of you. This Spa Packages includes: 60 min Swedish Massage for Two 60 min Classic European Facial for Two​ Approximately 2 hours. Done at the same time and in the same room.